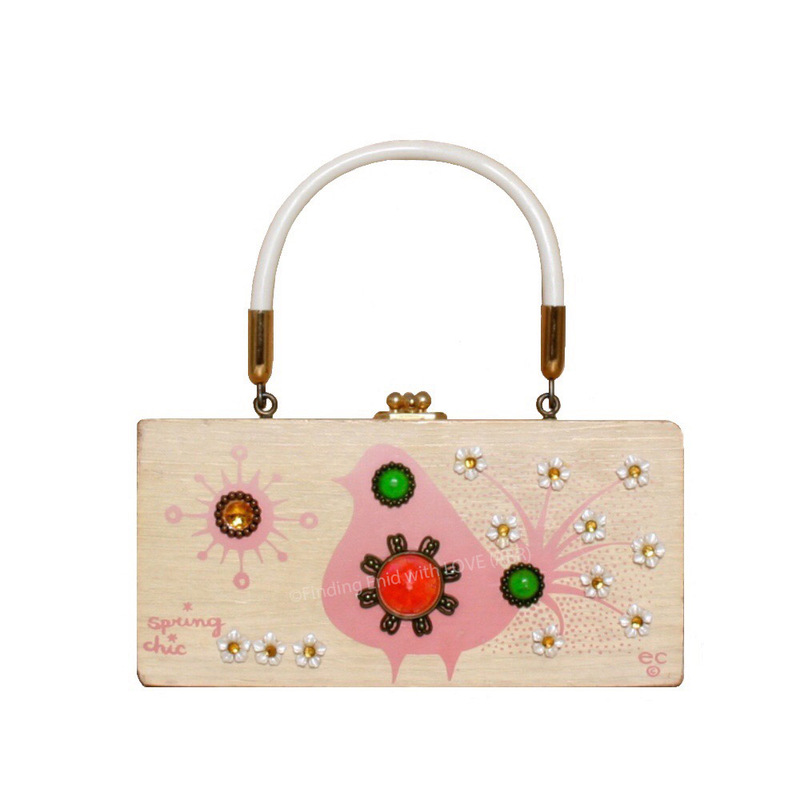 Box purse depicting a stylized starburst and a bird in profile, screen-printed in pink and decorated with faux gems and pearlescent acrylic embellishments shaped like flowers. "spring chic" is screen printed in the lower right corner, with stars in place of the dots in both i's. One of multiple variations on this theme. Shows some wear to corners; original screen print vivid; embellishments intact, in place and in good condition.